Thank you for considering a donation to support our Ministry. As a non profit we are completely dependent upon donations to keep our doors open. A consistent monthly donation of any amount helps us plan ahead and is deeply appreciated, and one-time gifts are also a blessing. You can click below to set up a one-time or recurring donation. Love INC is a 501(c)(3) non-profit affiliate so your donations are tax deductible. There are other ways to help support Love INC. Perhaps you are a Thrivent member and could consider initiating a project for Love INC. Do you shop on Amazon? 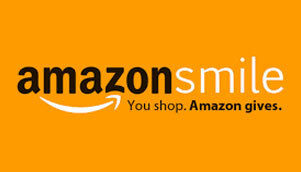 Check out the AmazonSmile program which allows a percentage of all you spend on Amazon to go to a charity of your choice. Or maybe you have goods or services you are willing to contribute. Check out some options below and contact us for more ideas. Do you shop on Amazon? Consider using Amazon Smile to have a percentage donated to Love INC every time you shop. Visit smile.amazon.com. Bookmark this page so you'll land on the smile page every time you shop. Sign into your account, and search for Love INC SWC. Once you make this selection, you will receive an email confirmation. You are now ready to bring the love of Christ to South Wood County in your everyday purchases! Positve change begins with your generosity. 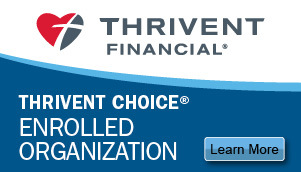 Are you a Thrivent member? Consider using your Thrivent Choice dollars for a Love INC project, or form a Thrivent Action Team to tackle a project. Contact us for ideas. It takes a lot to keep a huge ministry going! Things like office, kitchen, and maintenance supplies - as well as specialized services like painting, electrical and plumbing are routinely needed.